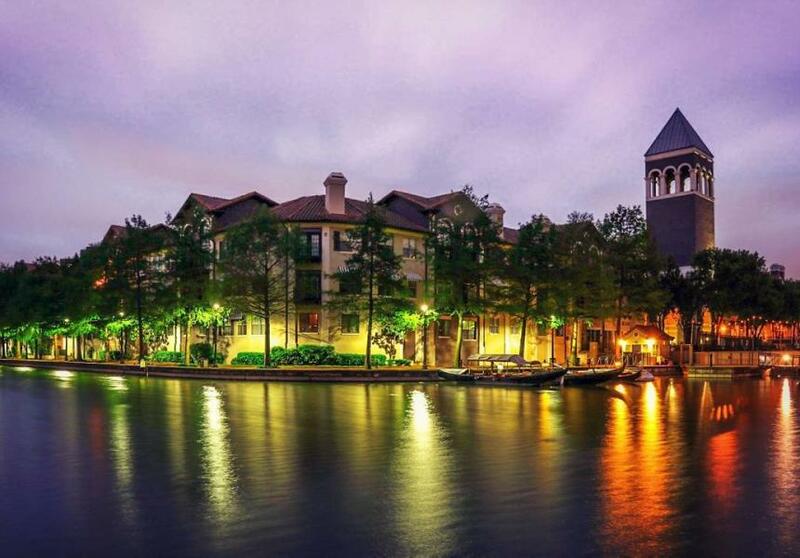 Lined with old-world architecture and Venice-inspired style, this charming enclave of restaurants and shops was designed to reflect Irving’s native setting of waterfalls and streams. The canal was created to connect to Lake Carolyn, where you can rent a paddleboard or join an intimate cruise. Stroll along cobblestone pathways and explore Irving’s little slice of Italy. The official museum of the American Boy Scouts Association showcases memorabilia from the 100+ years of history of scouting and the extraordinary influence the association has had on American culture and youth. Bring the family and discover interactive exhibits including indoor caves, campgrounds, a pinewood derby race track, laser tag galleries and a Cinemascope theatre. You’ll also find art exhibits with artwork by the famed Normal Rockwell, whose first artist job was working for the Boy Scouts. This magnificent installation of nine bronze mustangs is the largest equestrian sculpture in the world and is the centerpiece of the Williams Square Plaza in the Las Colinas Urban Center. The nearby and free Mustangs of Las Colinas Museum showcases more sculptures by artist Robert Glen and shows the story of the sculpture, its making, molding and mounting. Made up of three fascinating museums in West Irving, this enclave tells the story of the Bear Creek Community, one of the oldest African-American communities in Dallas County. Here, you’ll learn about the local African-American experience, from emancipation to racial segregation and the Civil Rights movement. Plus, explore the community where hundreds of local African-American families relocated after the emancipation. Step into the past and visit Heritage District, brimming with antique stores, displays of Irving’s history, and the restored Heritage House, one of the first homes in the city (free tours on the first Sunday of every month). Also, check out Heritage Park, consisting of Irving’s first library, the original railroad depot and a cabin built in the 1880s. Stop into the nostalgic Big State Fountain & Grill, a vibrant, old-fashioned diner that’s been serving shakes, fries, and burgers since 1948. Every Saturday evening, check out their weekly Classic Car Cruise. Indulge in a delicious combo of Southwestern, Tex-Mex, and Mexican fare served in this upscale, Santa Fe-inspired restaurant. Taste delicacies like fish tacos made with thick salmon fillets, avocado caprese salad and macadamia nut encrusted sea scallops with mango basil sauce. Twin brothers and chefs opened the modern, cafeteria-style Andalous to showcase their mother’s secret Mediterranean recipes with contemporary flavors. The menu brims of authentic dishes from Lebanon, Greece and throughout the Mediterranean, like fattoush, red snapper fillet, Maj-noon Chicken, broiled lamb shank and spanakopita. This high-end, Southwestern-inspired steakhouse and cigar bar features fresh seafood, an impressive cigar menu, a scotch and cognac menu, certified Angus beef and live music every weekend. Try entrees like smoked ribeye quesadillas, Texas blue crab cakes, and ginger soy smoked chicken. Walk, skate, bike or run the paved pathways of this 22-mile long greenbelt that winds along small lakes, wooded areas and meadows. Located along the West Fork and the Elm Fork of the Trinity River, Carmpion Trails longest stretch includes Campion Trails North, one of the longest continuous trails in Dallas. Climb onto a paddleboard for a soothing paddle through the waterways of the Mandalay Canals, Irving’s little piece of Venice. Rent a paddleboard with Stand Up Paddle North Texas and paddle past upscale apartment buildings, Italian-style storefronts, and brick sidewalks. If you’re new to paddleboarding, join in on a class where you’ll quickly catch onto the basics, along with paddling, balancing, and advanced maneuvers like turning and reversing. Cruise on your own, or join the three-hour sunset tour. Head out for an Italian-inspired adventure on the waters of Lake Carolyn or the Mandalay Canals with a gondola excursion. Gently cruise in a private gondola for a relaxing 1-hour journey past waterfall and private inlets. Extend the cruise to 90 minutes or indulge in desserts, appetizers, a basket lunch or dinner during one of their specialty cruises. If you want to bring the entire squad with you, arrange for a flotilla of several gondolas to cruise together. Reservations required.